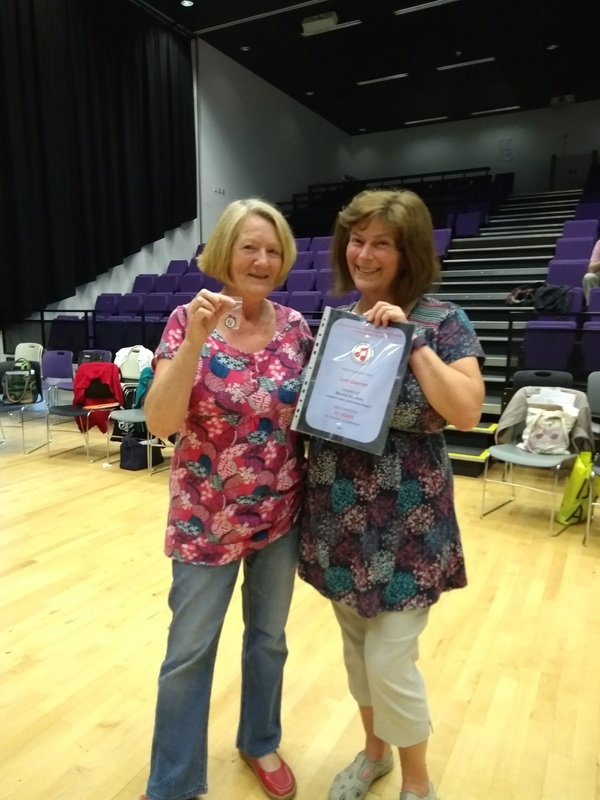 The annual AGM would not be complete without the presentation of long service certificates and this year was no exception. 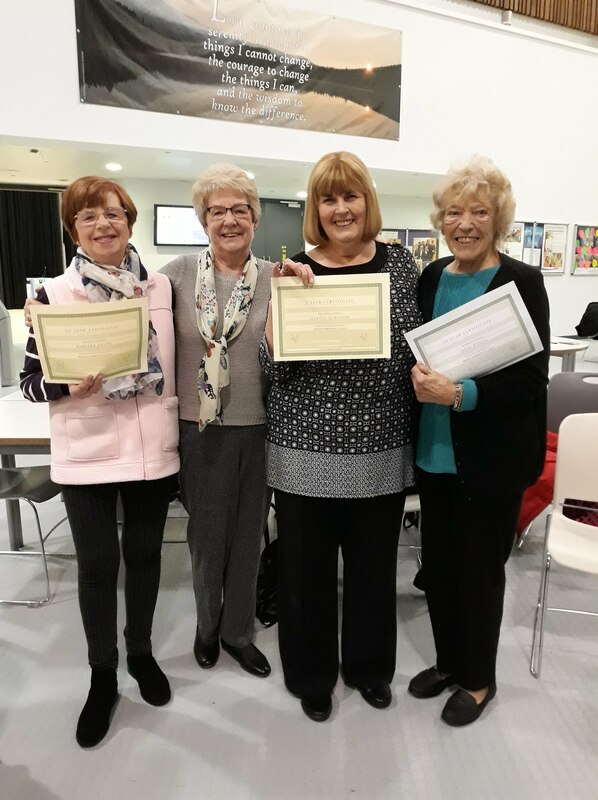 Four wonderful members received their certificates from Mo Rushton, chairperson. Marion Robinson – 5 years; Barbara Daniel – 20 years; Lyn Sherratt – 30 years and Irene Riding – 35 years. Thank you ladies for your commitment and dedication – long may it continue. Photo shows Lyn receiving her 30 year medal from Sue Ward LABBS regional rep.
Photo 2: L-R: Barbara, Mo, Marion & Irene.